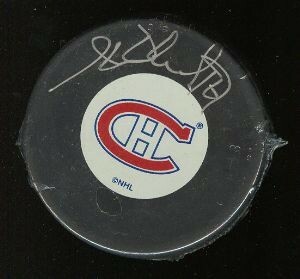 Montreal Canadiens logo puck autographed in thin silver paint by legendary Hall of Famer Henri Richard. With certificate of authenticity from AutographsForSale.com. ONLY 3 AVAILABLE FOR SALE.